The decline in amphibians across the globe has sparked a search for the causes, and recent evidence suggests a connection with pesticides. However, for most pesticides, tests on amphibians are rare and conducted only for short durations (1 to 4 days) and without natural stressors. Recent studies have discovered that the stress of predator cues in the water can make insecticides much more lethal to larval amphibians, but it is unknown whether this phenomenon can be generalized to other types of pesticides. Using six species of North American amphibian larvae (Rana sylvatica, R. pipiens, R. clamitans, R. catesbeiana, Bufo americanus, and Hyla versicolor), I examined the impact of a globally common herbicide (Roundup) on the survival of tadpoles for 16 days with and without the chemical cues emitted by predatory newts (Notophthalmus viridescens). 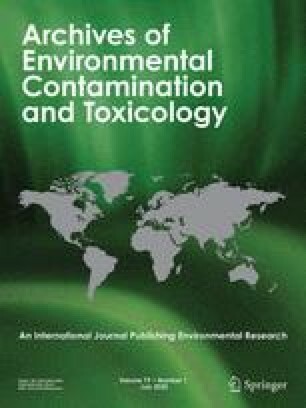 LC5016-d estimates varied from 0.55 to 2.52 mg of active ingredient (AI)/L, which was considerably lower than the few previous studies using Roundup (1.5 to 15.5 mg AI/L). Moreover, in one of the six species tested (R. sylvatica), the addition of predatory stress made Roundup twice as lethal. This discovery suggests that synergistic interactions between predatory stress and pesticides may indeed be a generalizable phenomenon in amphibians that occurs with a wide variety of pesticides. My thanks to Josh Auld, Jason Hoverman, Laura Howell, Adam Marko, Christine Relyea, and Nancy Schoeppner for assisting with the experiments. I thank Josh Auld, Jason Hoverman, April Randle, and Nancy Schoeppner for reviewing the manuscript. This research was supported by the National Science Foundation.